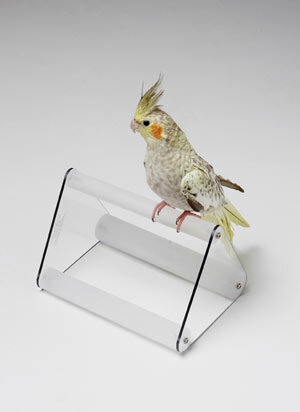 The exclusive VSP Avian Perch is a unique, easy-to-use, “three sizes-in-one,” acrylic perch for small to large birds. Select one of three desired perch diameters by easily rotating the perch. For use on counter tops, exam tables, cages or gram scales.